If you’re painfully waiting for the new A Song of Ice and Fire book, the Winds of Winter, author George R.R. Martin is here to ease your pain ever so slightly. Martin has taken to often posting a few chapters while he spends much time writing the next book, as a way to placate the masses. And hey, it’s nice to get updates on the story so far. 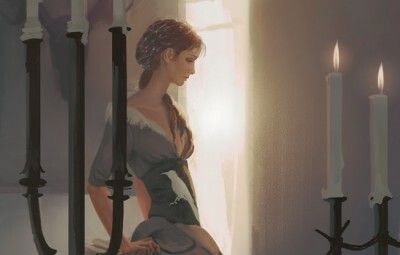 This new excerpt is an “Alayne” chapter, so if you haven’t read all the current books and don’t know who that is, proceed no further! Martin says he has canceled several convention appearances to work on the book in hopes of finishing it… sooner or later. The fifth season of the HBO TV series Game of Thrones begins April 12th. Seen via GRRM’s official site.